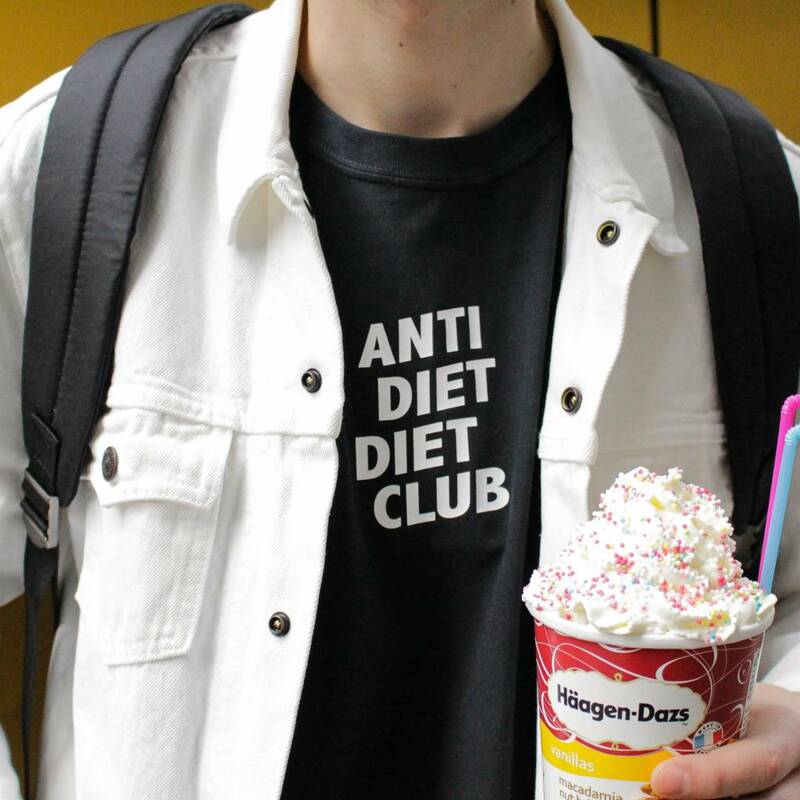 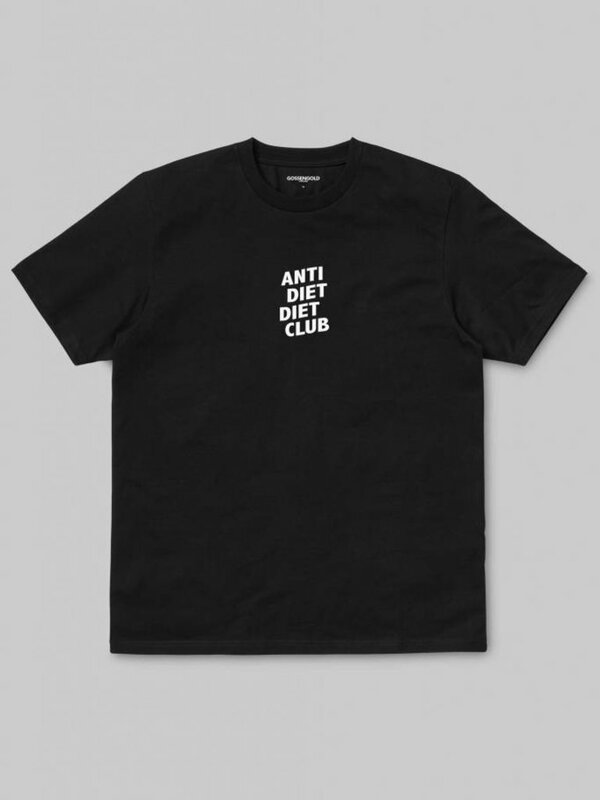 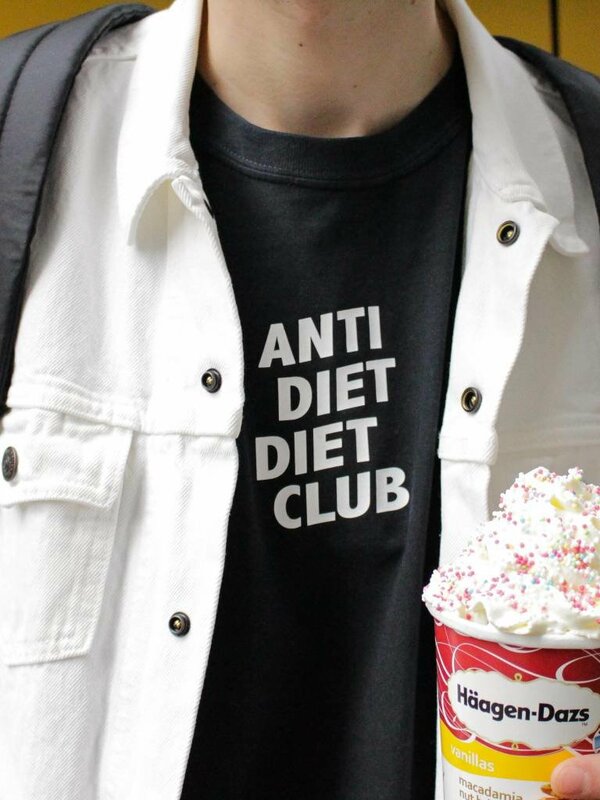 Long and narrow cut Gossengold T-shirt with Anti Diet Diet Club print on the chest. 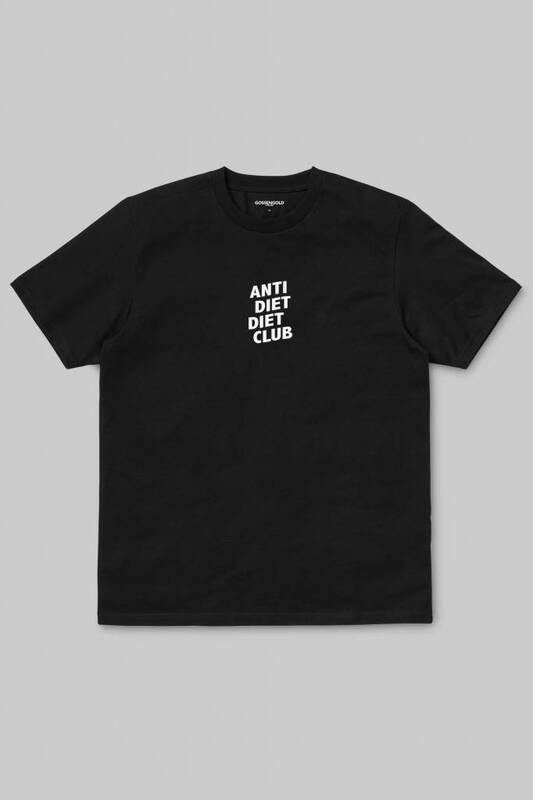 In addition, the Atelier Gossengold 00022018 logo is printed on the left arm. 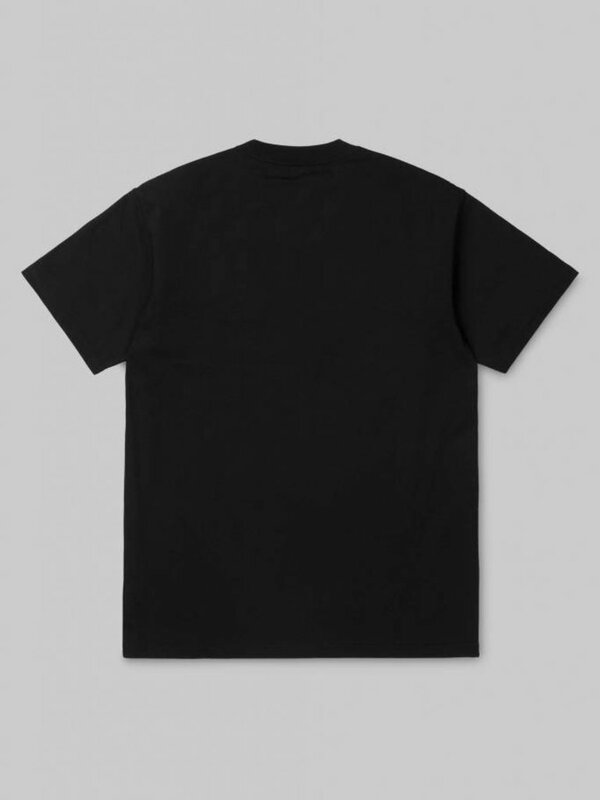 The collar is edged with a ribbed cuff. 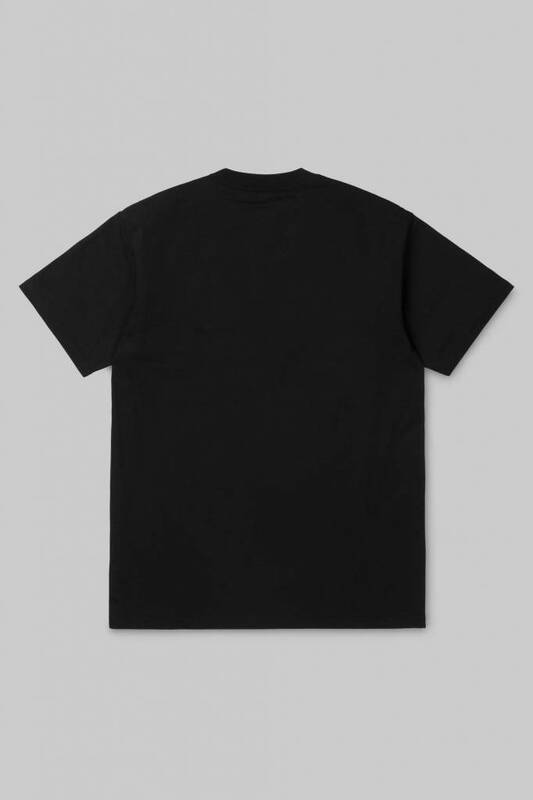 The T-shirt is made of 100% cotton.